Literary fiction. What is it? John Updike quipped his work was literary fiction because it was written with words. Reading some self-named literary fiction today, one wonders if his definition wasn't a bit highfalutin. Forget the old saw suggesting literary fiction boasts novels and stories written by poets; in the current climate—where poetry is not always written by poets— literary fiction too often reads like something produced by writers with no time for style, and less truck with ideas. But, as meant to be, literary fiction calls not only for a writer who is up to snuff and a pinch above it—to define the thing with sharp precision—but also for a reader prepared to read in some new and different way. I just saw a piece in the New York Times saying that what with television shows and movies appearing online instantaneously, readers now want books by their favorite writers to appear apace, and that some authors are complying, turning out a number of new books each year. It seems if literary fiction is to survive and thrive, both writer and reader must be tamed, checked, and schooled in ways of writing and of reading. To that end, I've taken the liberty of drawing up a little list for the aspiring reader when he comes upon a sample of the real thing: How to Read Literary Fiction (you can try this at home, also on park benches, beaches, and public transportation). You'll notice many of these items address the little matter of preparedness. My list: 1. Repeat after me (and Gertrude Stein): Remarks aren't literature. 2. Stop reading anything with more than four product names on one page. 3. Ditto: exclamation marks and adverbs modifying verbs. 4. Start taking walks. Long walks. Remember how to daydream. 5. Read slowly. 6. Read more slowly still. 7. Develop a comfort level with turning down corners of every page, top and bottom, underlining, sighing audibly, and uttering the occasional Hallelujah. 8. Breathe deeply … or hold your breath. It doesn't matter. Once you've started reading, the poet/novelist will be in charge of any breathing needing to be done. In other words, surrender. Be putty in the writer's hands. (All will be well. All will be very, very well, and that right soon.) 9. Make plans to look at life some way you never thought about before. 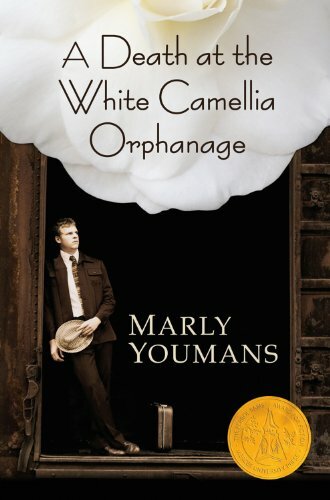 Which brings us—not before time—to Marly Youmans, whose new novel A Death at the White Camellia Orphanage is literary fiction at its finest. (Tell me you didn't see that coming.) Here is fiction which required the writer to reinvent language, engage magic and mystery with every commonplace of living, explore the whys and wherefores of human understanding, and enlarge the boundaries of what it's good to think about and know. Here is fiction which requires the reader to take it slow, to savor, bask and meditate, to revel, and to laugh aloud and cry. And the helpless roar that from the distance of the White Camellia Orphanage sounded so like a scream seemed to involve the very skies in its clamor, as in a rhythm of call and response. The sun swelled and soared to become a rosy "O" burning above the plum trees, and the heat waves of its solar outcry aroused the tobacco leaves and the rosined pines and the snake-dripping swamps like immense but unheard mirth.